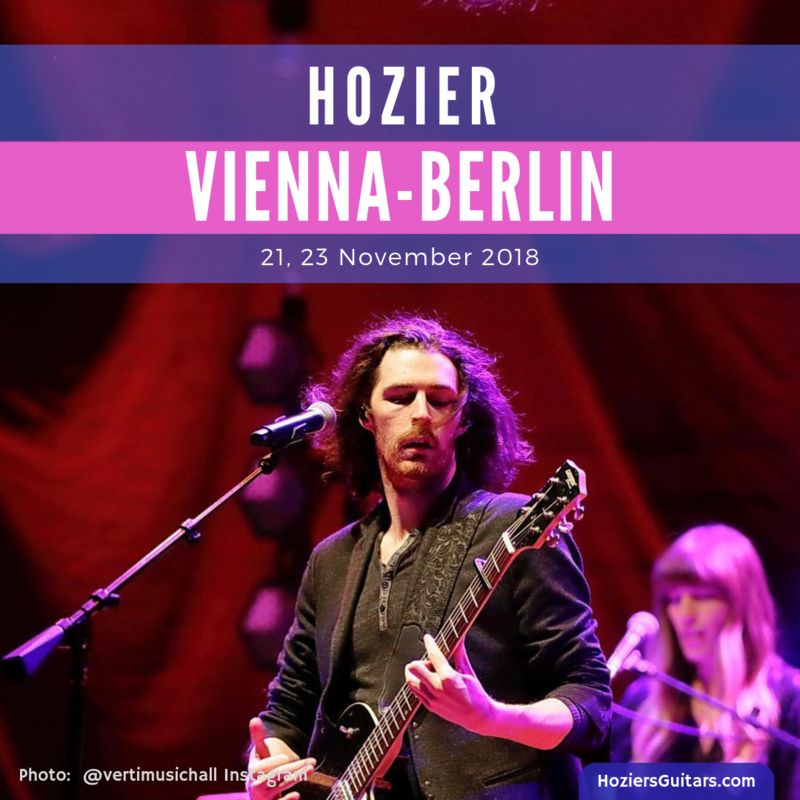 Hozier’s Europe 2018 Tour continued in Vienna and Berlin on 21 and 23 November at Gasometer and Verti Music Hall. Saint Sister opened. Their debut album, Shape of Silence, can be purchased here. Additional photos available from Volume. Berlin, last night was incredible! Thank you to @Hozier and his amazing band for having us. We can't wait to begin our own German tour next week. Dates and Ticket link below. Ever wonder what goes on backstage before and after a show? Well, Verti Music Hall caught it all on film! Additional photos available from Verti Music Hall. Featured image: Photo: @vertimusichall. Graphic: Hozier’s Guitars. Tagged Austria, Berlin, Gasometer, Germany, Saint Sister, Verti Music Hall, Vienna. Bookmark the permalink.